This is when things start to get really exciting in the Top 16, and it is a time that Euroleague betting lovers live for! The teams clash for the second time in the group with the Russians winning by 109-90 back in round 4. There were massive performances from Art Parakhouski, with 27 points, and Trey Thompkins, with 21 points that night, and the Russians will be looking for similar performances in this vital clash. Both teams really need a win to remain in the hunt for a play-off spot and this could be a thrilling game. The Turkish side have served up an average of 75.7 points per game this season while Nizhny have provided an average of 79.2 points per game this campaign. The home side has a 10-10 record in Euroleague action this season with a 6-4 record in their regular season and so far they hold a 4-6 record in the Top 16. This is something that they will be keen to improve in this game, if only because it would hamper the chances of their rivals. The Russians hold an 8-12 record in the Euroleague this season, consisting of a 5-5 record in the regular season and a 3-7 record in the Top 16. Playing against a team who is just above them in the current standings should provide Nizhny with an opportunity for success, and the Russian side will be desperate to grab an away win that could breathe fresh life into their campaign. Dario Saric has been vital for Efes so far this season and he has managed to serve up an average of 10.2 points per game while also offering an average of 5.5 rebounds per game for the Turkish side. If they are likely to get anything out of this game, it will be down to his efforts. He has also been assisted by Dontaye Draper who has managed an average of 3.4 assists per game this season. For Nizhny, Taylor Rochestie will be absolutely vital. The player has bagged an average of 19.1 points per game this season and he has also delivered an average of 6.2 assists per game this season. This means that Efes know if they can keep Rochestie in check, they will have a greatly improved chance of winning this vital game. Another big player for the Russian side will be Trey Thompkins who has provided an average of 8.4 rebounds per game this season in Euroleague action. 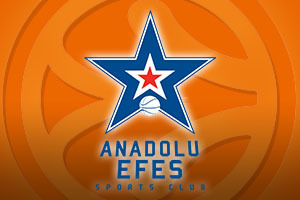 Anadolu Efes are in second place in their domestic league, sitting with a 1606 record, behind Fenerbahce Ulker who hold a 17-5 record. The most recent domestic game for Anadolu came on Monday night when they suffered a shock home defeat at the hands of TED Kolejliler, losing the game by a score of 73-81. Nizhny are currently in their place in the Russian league, sitting with a 17-6 record behind CSKA and Khimki. They are one place and one game better off than Lokomotiv who currently sit fourth in the table. The most recent domestic game for Nizhny was a 75-80 away win against Nilan Bisons. Taking Anadolu Efes with a -7.5 handicap at odds of 1.90 is likely to be a decent bet for Thursday. Going OVER 157.5 for the Over/Under market is a smart move and you will find that both of these bets are provided by Bet365, one of the leading places to bet on basketball, but be sure to check availability in your country on our site.